My previous update already described a lot of the new content I release in this one, so if you don’t want to wait anymore go play Bass Abyss now! For more details of this update and interesting tidbits, just read on. After years of wondering what happened after level 18, I finally did enough engine changes to feel the need to make new levels. 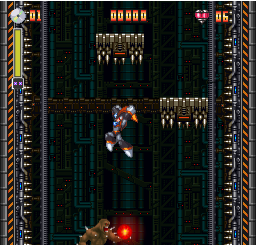 Yeah, it is Boomer Kuwanger’s stage remixed, but well, it started as a proof of concept, and it grew a lot from there. I’m not the most creative person when it comes with level layouts, but I really love to see what others do. I love that armor. 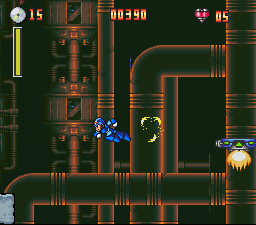 I always loved the X2 Buster. Back then, when I noticed it would do double damage to a boss if both shots connected. The image got imprint in my mind forever. 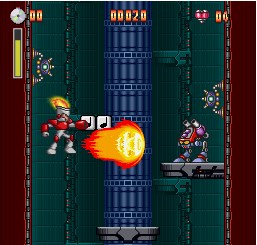 Originally, Fall of 21XX was meant to be played using that armor. X-Hunters vs X2 Armor. I ripped the sprites from back then. Soon enough, reality hit me. It was too complex to implement. I barely managed to solve the wall climb. Anything else was going to take too much time and, as an extension of the Fire Man Incoming Storm engine, I already had reached its limits. I knew I wouldn’t accomplish too much and a complete rewrite was required soon. That rewrite would be in a new project, Bass Abyss. In retrospective, now I realize how improbable it would have been for me to reach the goal if I had persisted. I just didn’t have the infrastructure, knowledge and time I do have now. When I saw the chance to do it on Bass Abyss, I was not going to let the opportunity pass. So, at long last, the Giga Armor is playable! You’ll notice that for this release, something is still missing. If you saw the video of my previous post, at the very end I release the Giga Crush. Well, for this update I didn’t have the time to implement the proper charge logic, but it will be ready for the next update in August. What does the 1.0 mark mean? Not much. Ok, I had hoped it would be a full, functional, bug free game, like the good console games of old. At some point I was really aiming to that. As praiseworthy as this sounds, sometimes this is not too realistic. Sometimes it is better to ship early, ship often, and fix bugs as you go. Experience with other products like Windows Update, WordPress and many other software products with infrastructure to update themselves, indicates that an approach where patches and updates are easily delivered is more realistic. Sure, Bass Abyss is nowhere near as complex as those projects, but in my case the problem is the time I can devote to it. So, this has been the more pragmatic way for me to deliver from time to time. Get to some complete state, and ship. I do consider I have reached an interesting milestone with this release. Camera transitions, rooms, doors, new level editor. Foundation wise, it was huge. But still, there’s a lot of stuff I want to do. So, I’d better let go the 1.0 full complete release goal, and start to grow from here. Fear not my friends. This update took a lot but is going to pay off. Please accept YouTube content to play this video. By accepting you will be accessing content from YouTube, a service provided by an external third party. A YouTube version that uses no cookies will be loaded. 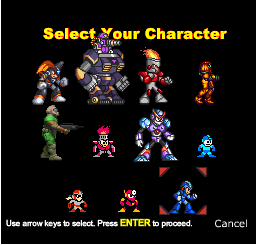 Since the previous update, I had already decided to add Mega Man X’s Giga Armor. 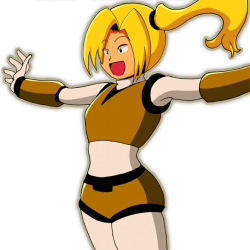 I had the sprite armor ripped for years, but that is a tale for another post. I seem to remind I had the Giga Armor implemented in relatively little time. But I decided to keep it. I use to do that as my back up plan. It was too soon, and at worst, if I didn’t have the time to work in anything else, I could buy time with this. While that was the plan, I didn’t develop much for several weeks afterwards. Closer to my update deadline, I decided to revise some stuff I’ve been delaying. The concept of “rooms”. I’ll probably talk more about that in the next update, but the thing is, for something that started as a simple experimentation, it went so well and I saw so much progress that I decided to hold the update, and build a new level. 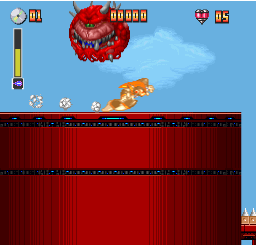 It was just going to be a demo level, but again, what started as a proof of several concepts, based on Boomer Kuwanger’s level, it went so nice that I could not help to kept adding stuff to the engine. Then I went: “This is it, this deserves to be Level 19. At long last!”. Later on, I decided I didn’t want to have a simple exit. I wanted a boss battle. You know, this stuff takes time. I like to consider my options, decide on some music, and little by little I start to put things together. 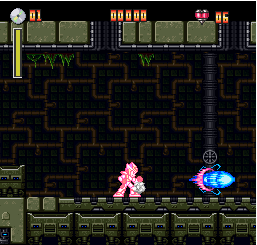 A boss has weapons, attacks, states, attack points, sound effects. Well, I was in a roll, weeks went on, I just didn’t mind. Then, I few weeks ago I was debating over to stop there and update. But then I went. “Come on, this looks too good, just a little more. I want doors. Boss doors. 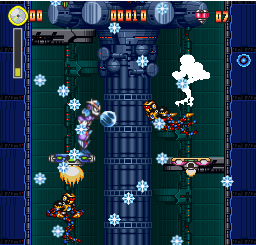 Mega Man X Boss Doors. I had them on Fall of 21XX. I want them here now!”. I pushed the release date again and I started to work in those doors. This is oversimplified of course, but really, this must be the most extensive update in years. New character, new opening, new level, new boss, new music, new tiles, new editor. Complete insanity. And still, you’ll have to wait a just a little more. I expect to polish this a bit more and have this published before the month ends. In the mean time, enjoy the video preview. I used to be strict with my “no spoilers” rule, but I really love to record these videos for the posterity. Fun fact. 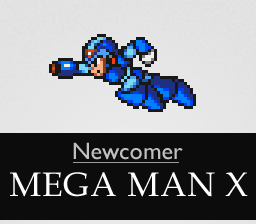 The last time I updated, Mega Man Universe was cancelled. 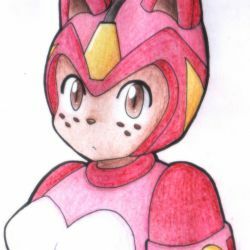 Now Capcom had to ruin my weeks of anticipation working in this update by cancelling yet another Mega Man game: Mega Man Legends 3. Coincidence much? Still, such horrible timing. I decided to update anyway. It’s here! 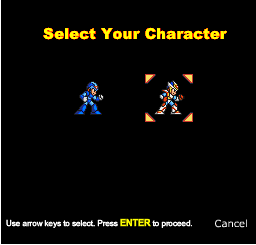 As promised, Mega Man X joins the list of available characters. 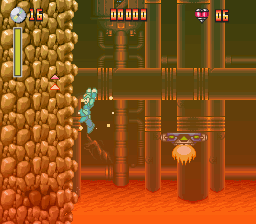 Yes, he can climb walls, dash and do all the standard movements you’ve enjoyed in Fall of 21XX. I was not going to settle for less, no sir. It took its time, but everything is ported, implemented and fine tuned. Actually, I decided to go a little forward and enable Air Dash, this is, as you may recall, the ability to dash while in the air. Why? Isn’t this like too easy? Well, yeah, but it is fun. Actually, after watching some videos on YouTube, it seems like, given the choice, players rather do the Air Dash instead of the Dash Jump (jump from a wall holding dash). I consider the latter an essential move since Mega Man X 1, albeit maybe a little more complicated, even more with the keyboard. Oh well. So, that’s the background for this. Air Dash to the rescue. A little warning. For the first time in my life I ran into a keyboard that doesn’t support CTRL+SHIFT+SPACE. So , essentially I can’t play Bass Abyss with my default controls! This was rather unpleasant. I did manage to play using JoyToKey, but that should be optional. Well, this is a hardware issue beyond of my control. But I do blame the keyboard manufacturer. When I can’t even do CTRL+ALT+SHIFT+S, which is a standard shortcut in Photoshop, I can’t be the one at fault. If Adobe is expecting this to work, so do I. Keyboards are cheap, do yourself a favor and get a decent one. Back to Bass Abyss, you’ll notice a little glitch in the background. That’s because that was something I was working on before I decided to put that development on hold and enable X gameplay. I’ll try to fix that for the next update, thought I got quite distracted again with something else. I’ll let you guys know soon! As usual be sure to clear your browser cache at least once in order to force a download of the full updated game files. This is not needed afterwards. Well, I’m beyond my arbitrary self imposed time limit of no updates. With nothing finished at hand, I had to be creative, so I decided to at least put together this video with the recent stuff I’ve been working on. I’ve been working, you know? Then I noticed it’s April 1st. How am I going to be taken seriously if I post in such a date? 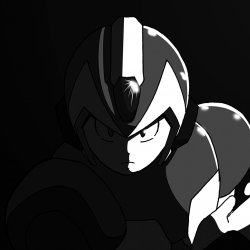 Well, but this is no joke, Mega Man X is coming. I’m beyond the point of no return with this, so hopefully I’ll have this released before April ends. And I love so much to play as X. Yeah, gameplay and balancing will be most likely broken after this. But what the heck, this is just too much fun. 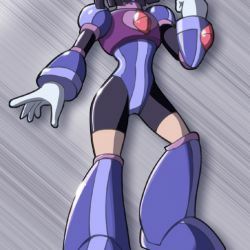 In other news I read Mega Man Universe has been cancelled? Well, that’s one less game to tear apart enjoy. I hope this video cheers you up at least a little. 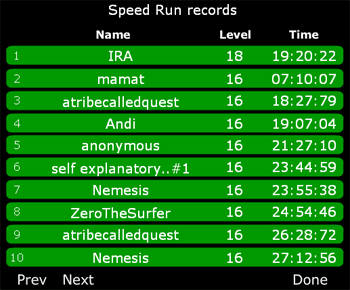 I don’t know how it happened, but somewhere, when I was in Panama I screwed up the High Scores and Speed run records code. Well, that was a lot of time ago. Recently I’ve been busy fixing up a lot of stuff that I don’t like anymore, cleaning code, moving around stuff and overall extracting a base platform for further projects. So I decided it was time to fix the scores problem once and for all, but while I was at it I thought, this code is below my current standards so let’s do something extensible that will be usable for other games and not just this one. It took longer than I expected, even considering the few hours I can devote to it, but I’m really happy with the results. Now I feel like modifying my old games to use this new high records backend, but now that I remember, I also have to restore the html view of the scores. For now probably I’ll just take a break. Anyway enjoy, and try to beat my records! Happy Holydays! After all the Mega Man 2 hype surrounding Mega Man Universe, I was wondering what’s up with Mega Man 2 and the Mega Man 2 Robot Masters. Why is the Metal Blade considered to be God’s weapon by some? 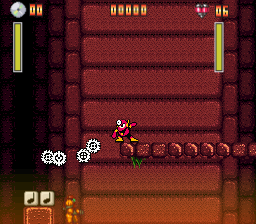 Even better, how can I tell if it is enclosed forever in Mega Man 2? As there’s no simple way to answer this, I decided to simply put Metal Man to the test. 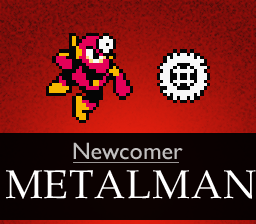 So, in this update I bring you Metal Man as a new Bass Abyss playable character. 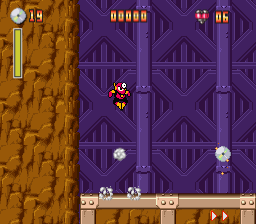 With Metal Man come all the simple controls you’d expect from an 8 bit character. Just note, he can’t slide, but he can run. Also shooting will fix him on the floor. 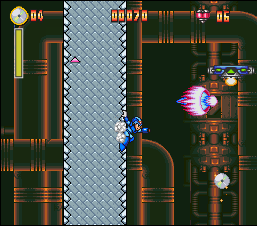 Metal Man’s weapon can be shot in eight directions and here is where the major fun comes from. You can literally reach anyone from anywhere. 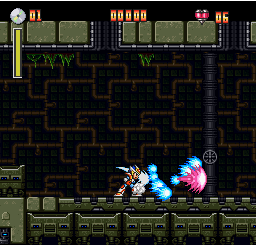 The blades go through walls and are really strong. Your only limit is how fast you can shoot them. 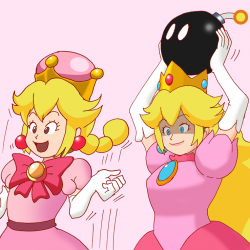 I recommend you to use a gamepad and Joy2Key for superior controls. 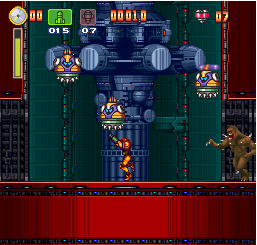 I was going to call this Robot Master Jump but whatever. 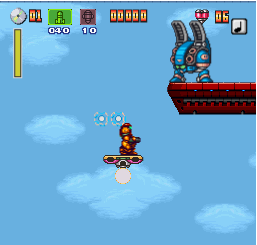 Essentially, when you combine UP and SPACEBAR (jump and up) Metal Man will jump higher than usual. With so many new custom levels, I was concerned about releasing a new character but not being able to get through the new maps. Well, this solves the problem, for Metal Man at least. I still want to solve this for the other characters, but with a little more time, I’d like to try another route. This month IRAGINATION is another year old! Have fun!